Federal agencies with technology problems have one man to go to–Reed Cordish, special assistant to the president for intragovernmental and technology initiatives. And given that there is no Federal CIO in place, his influence is magnified. Cordish, 42, has been involved in shaping the Trump administration’s IT policies, including meeting with high-level agency IT officials to gauge the problems that the Federal government faces as part of the White House Office of American Innovation, led by Jared Kushner, President Donald Trump’s son-in-law. In the latest cyber executive order draft, Cordish is tasked with coordinating a report to the president from the secretary of Homeland Security, the secretary of Commerce, the director of the Office of Management and Budget, and the administrator of General Services, regarding modernization of IT. Cordish has a lot to consider, including how agencies can get off of legacy IT and reduce the cost of operations and maintenance for systems, to allow agencies to focus on innovation. Cordish also has a voice in recognizing that commercial Software-as-a-Service is a model that government IT should be moving toward and adopting. John W. Davis II, founder and CEO of Notice and Comment, wrote an opinion piece for the Hill in February, which suggested that Cordish should focus on modernizing how agencies share data with one another by making the eRulemaking Program mandatory for agencies. Cordish is a close friend of the president’s daughter Ivanka Trump and her husband, Kushner. The Cordish family helped to organize Trump’s visit to Maryland in 2015, when he spoke at the BWI Marriott. Reed Cordish contributed $250,000 to the Trump Victory committee on June 30. 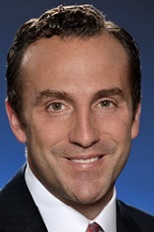 Cordish was a principal of the Cordish Companies, a Maryland-based real estate business, and the president of Entertainment Concepts Investors, a subsidiary that owns and manages casinos, hotels, and restaurants across the country. Before the families became friends, Donald Trump sued David Cordish, Reed Cordish’s father, in 2004. David Cordish had obtained an agreement to build two casinos in Florida that Trump had wanted to build. Trump filed a civil suit because one of his former employees had joined Cordish’s company. The suit was settled in 2010 but Trump became friends with his competitor along the way.